Lisa, Paul, Theon, Glen, and Jennifer. 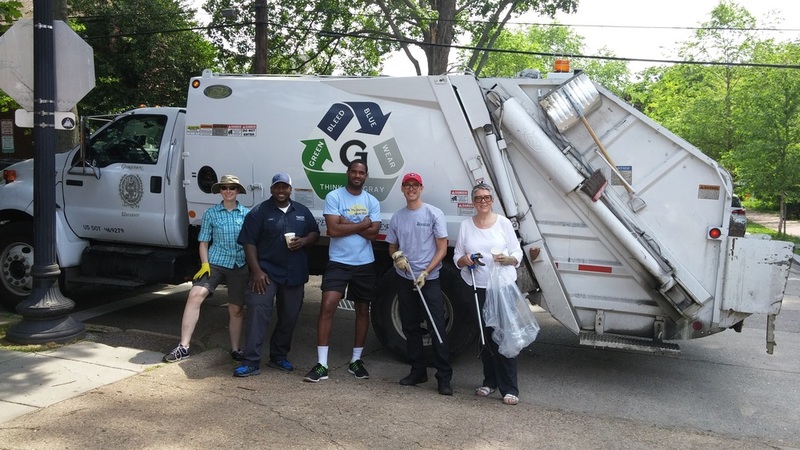 The Burleith Spring Clean-up on Saturday, June 11, was a success with help from a small group of dedicated volunteers. We collected over 20 bags of litter and lots of bulk waste including a set a dining chairs and two rugs. We also recovered a stop sign for re-installation at 36th and S Streets. Special thanks to Georgetown University for its enthusiastic staff (Paul, Keith, Theon, and Cory ... and future staff member 3-year-old Riley). DC Department of Public Works supplied bags, rakes, shovels, broom, and other tools through their neighborhood Helping Hands program. 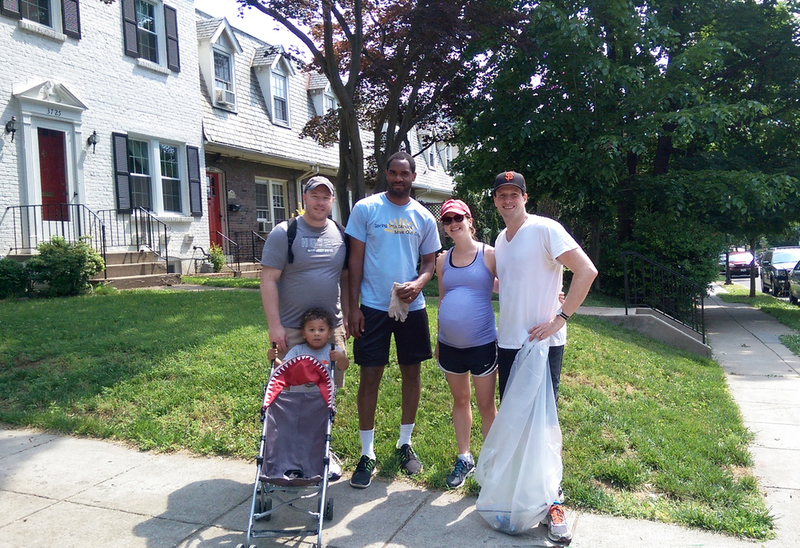 Cory Peterson, Director, GU Office of Neighborhood Life (ONL), and Riley; Theon O'Connor, community director/Burleith, ONL; and Elizabeth and Daniel.